About - Delivery & Courier Service, Birmingham, AL – Wheels On Call Delivers! Wheels on Call was founded in 2001. We are located in Birmingham, Alabama in Jefferson County. A proud member of the Trussville Area Chamber of Commerce! Businesses today know that on time delivery and reliable service are critical to success. That’s where the rubber meets the road, so to speak! Wheels on Call Delivery understands the importance of prompt, safe and courteous delivery and shipping services. Wheels on Call Delivery services all of the major cities in central and north Alabama, including Birmingham, (the state’s largest city) Montgomery, (the Capitol City) and the Rocket City of Huntsville. While Wheels On Call Delivery can’t make deliveries into space (yet!) we’ll be glad to handle your terrestrial shipping and delivery needs safely, professionally and at a rate that’s ‘down to earth’. For local and long distance delivery, Wheels on Call Delivery Delivers! Wheels on Call is proud to offer professional delivery services and courier services to our loyal clients and we welcome new business any time! Our drivers are friendly and courteous and will handle your shipment with care and consideration. All of our uniformed drivers are thoroughly screened with drug and alcohol testing, along with a criminal background check. 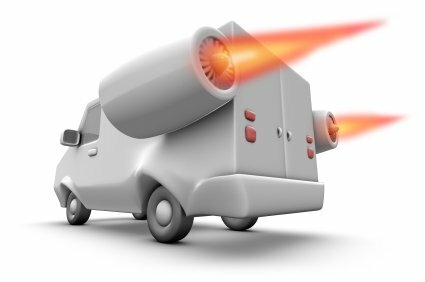 Wheels on Call Delivery Service carries commercial liability insurance on all delivery vehicles and has cargo insurance for all shipments handled. We are also licensed and bonded. Whether it’s a simple two minute drop and leave delivery or we need to break down multiple pallets and deliver the product on a hand dolly; we are ready, willing and able to roll up our sleeves and get our hands dirty for you! We know how important your shipment is to your company, so the moment your product is delivered, you will be notified. Our commitment is to the client, understanding your transportation, logistics and delivery needs fully and delivering on our promise of professional on call service in every way!